Next Meeting: Thursday May 2, 2019 7-9 p.m. 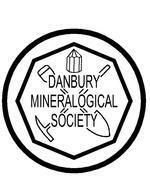 Meetings are held the first Thursday of the month (except January and September) from 7-9 p.m. at the Danbury Historical Society Museum. April Meeting Wire Wrapping with Emerald was GREAT! This website is under construction so please excuse any gaps.